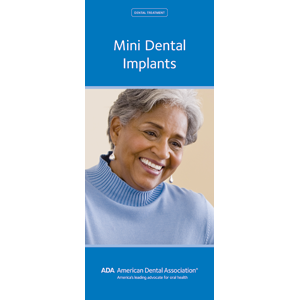 When mini implants are the best option for your patient, this brochure delivers the essential facts. Highlights the restorative benefits of implants, explains placement steps and says who is a candidate. Includes photos of mini implant posts and overdenture. Also conveys how to care for the implants and denture. 6-panel brochure, pack of 50.